A list of documentary films on Bangladesh was previously published in Part 1, Part 2, Part 3 and Part 4. This is the fifth installment. All documentaries in this list were made by non-Bangladeshi directors, producers, and production companies. It is not a review or not a critic of the documentaries – a mere list. This list is not complete, so as they come to our attention we will write on them. The list here is in random order. These group of documentary films are not entirely on Bangladesh. In a single documentary, Bangladesh was mentioned in a documentary as part of the issue presented. In a series documentary, Bangladesh was presented in one of the episodes. Half of the human population lives in urban areas. By 2050, this will increase to 80%. Life in a megacity is both enchanting and problematic. Today we face peak oil, climate change, loneliness and severe health issues due to our way of life. But why? The Danish architect and professor Jan Gehl has studied human behavior in cities through four decades. He has documented how modern cities repel human interaction, and argues that we can build cities in a way, which takes human needs for inclusion and intimacy into account. 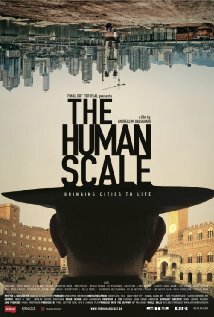 ‘The Human Scale‘ meets thinkers, architects and urban planners across the globe. It questions our assumptions about modernity, exploring what happens when we put people into the center of our planning. The West has positioned itself as the protagonist of the development narrative. But the results have been mixed, in some cases even catastrophic, and developing world leaders have become increasingly vocal in calling for change. 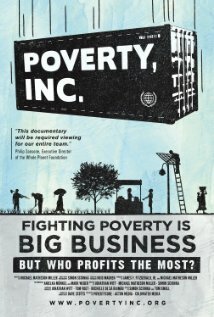 Drawing on perspectives gathered from over 150 interviews shot over 4 years in 20 countries, Poverty, Inc. explores the hidden side of doing good. From disaster relief to TOMs Shoes, from adoptions to agricultural subsidies, Poverty, Inc. follows the butterfly effect of our most well-intentioned efforts and pulls back the curtain on the poverty industrial complex – the multi-billion dollar market of NGOs, multilateral agencies, and for-profit aid contractors. Are we catalyzing development or are we propagating a system in which the poor stay poor while the rich get hipper? Narrated by Matt Damon, Plan B is a 90 minute documentary based on the book by environmental visionary Lester Brown. Shot on location around the world, the film’s message is clear and unflinching — either confront the realities of climate change or suffer the consequences of lost civilizations and failed states. 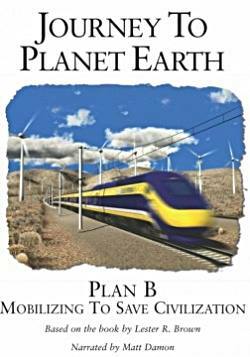 Ultimately Plan B provides audiences with a glimpse into a new and emerging economy based upon renewable resources as well as strategies to avoid the growing threat of global warming. Appearing with Lester Brown are Nobel Laureate Paul Krugman, Pulitzer Prize winner Tom Friedman, former Governor and Secretary of the Interior Bruce Babbitt, along with other scholars and scientists. Locations include: China, Japan, South Korea, India, Italy, Turkey, Bangladesh, Zambia, Haiti, and the U.S.
Whores’ Glory is an examination of the lives, needs, troubles and hopes of prostitutes in Bangkok (Thailand), Faridpur (Bangladesh) and Reynosa (Mexico). The first part deals with the everyday work of prostitutes in Bangkok, in a brothel called the Fish Tank. The prostitutes sit in a brightly lit glass room and are chosen by clients by the number used to identify them. The second part is about a vast brothel called the City of Joy, in the town of Faridpur, Bangladesh. There, 600 to 800 women work in a confined space. In one scene, a madame buying a prostitute from another madame haggles over the price of the girl. The third part takes place in the city of Reynosa, near the Texas border. There it is common, as in other Mexican cities, to designate the legal areas for prostitution as zonas de tolerancia (tolerance zones). The entrance to the Zona is secured with barriers and is constantly monitored by the police. 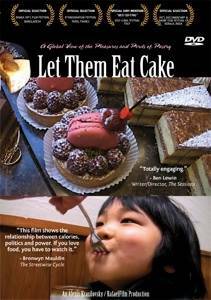 Six years in the making, filmed in a dozen countries, ‘Let Them Eat Cake‘ is a poetic film essay that runs the full range from the pleasures and perils of overeating to the tragedies of world hunger. Let Them Eat Cake is not your typical documentary. It is a poetic essay that takes you on a journey through twelve countries, exploring the contrast between pastry making and consumption in various parts of the world. While in some parts of the world those who farm the ingredients for pastries can’t even afford them, in Paris, Tokyo and Los Angeles, lavish pastries adorn the shelves of pastry shops along the streets. Written and directed by award-winning director Alexis Krasilovsky, Let Them Eat Cake addresses the planetary emergency of too little food, while seducing the viewer with the lavish traditions and beauty of pastry and cake-making that call us back to the roots of our childhood. 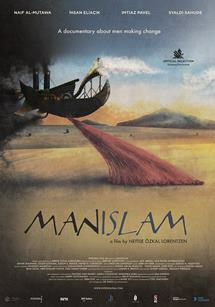 ‘ManIslam – Islam and Masculinity‘ is a voyage into understanding the masculinities of Islam. Why does a man in Kuwait inspired by the 99 names of Allah and the Quranic stories create comics about super heroes called the 99? Why does a man in Bangladesh travel from a village to another and teach the community how to play a board game? Why does a man in Indonesia encourage other men wearing mini shirts in a demonstration? They all have the same target. They will change the dark side of the masculinities in their cultures by playing games. Years of Living Dangerously is a documentary in 9 episodes about worldwide climate change and global warming. Bangladesh was extensively covered in episode 8 (A Dangerous Future) and episode 9 (Moving a Mountain). From the damage wrought by Hurricane Sandy to the upheaval caused by drought in the Middle East, this groundbreaking documentary event series provides first-hand reports on those affected by, and seeking solutions to, climate change. In episode 8, Michael C. Hall travels to Bangladesh to see how climate change will impact workers and the poor in developing countries in the coming decades, when a projected 150 million people will be forced to leave their homes to escape sea level rise and increased drought, insect-borne disease and flooding. In episode 9, Hall concludes his journey to Bangladesh, where rising seas are expected to submerge 17% of the country. Don’t Tell My Mother is a television program hosted by Diego Buñuel and shown on the National Geographic Adventure channel. The episode of season 2 of this documentary, Dhaka was presented as a destination. Dhaka is one of the fastest growing cities in the world. Amidst the busy streets, energetic creativity bubbles up in the most unlikely places. 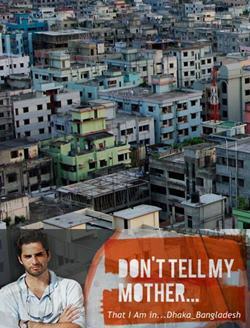 Diego begins his adventure in an area of Dhaka where the term urban jungle is given new meaning. In this area, Macaque monkeys have taken control. Toughest Place To Be A… is a BBC Two television documentary which offered various working or retired professionals in the United Kingdom a different and more challenging working environment in the same profession they worked in. Bangladesh was presented in Series 3, episode 2. 57-year-old Colin Window, the bridge officer of the Woolwich Ferry, travels to Dhaka, Bangladesh to train and work as a ferryman on the Buriganga River. Hosted by 70-year-old Muhammed Loteef in one of the city’s slums, Colin is introduced to his new vessel, a small wooden rowboat known as a Sampan. In temperatures of up to 40 degrees, Sampan operators row passengers and goods across the quarter mile stretch of river every days, dodging the huge barges and passenger ships that dominate the Buriganga. As Mr Loteef shows Colin how to master the sampan, he meets the other people who live and work on the river – and who have seen it transformed by sewage, rubbish and industrial waste. Once the lifeblood of a traditional fishing community, the Buriganga is now officially a dead river. However the changes to the Buriganga are just a glimpse of the transformations disrupting life in Bangladesh. Every day some 2000 people a day leave their villages and travel to Dhaka, desperate for work as traditional professions such as farming are threatened by climate change. Yet even in Dhaka, over a quarter of a million children live rough on the streets of the city. After ten days of training Colin faces his final challenge: to operate the Sampan alone during the rush hour, taking passengers and dodging the huge ships.